Kepler haven't released an album since 2005's Attic Salt, and the no-longer-active Ottawa slowcore outfit are revisiting that swan song for a vinyl reissue. It will come out through German imparint Oscarson on May 6. The album was recorded with producer Dave Draves (Kathleen Edwards, Jim Bryson), and it saw multi-instrumentalist Jeremy Gara — who has since joined Arcade Fire — taking on more responsibilities following the departure of drummer Mike Sheridan. Additionally, frontman Samir Khan handed over the mic to Jon George-kish Watt for one song, "Days of Begging." 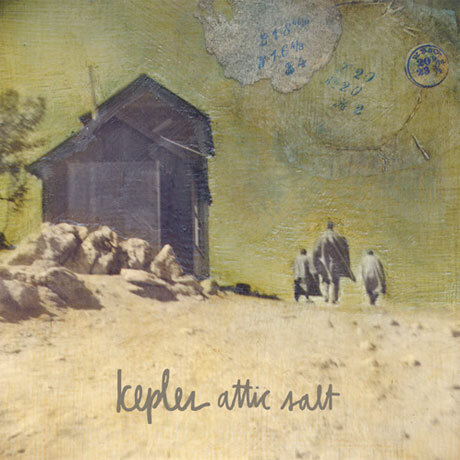 Attic Salt was Kepler's third record. It found the band expanding their style, and a press release notes, "The performances documented aren't flashy, but they have a sense of craft and purpose — few indie bands attempted to swing quite like this." This is the first time the collection has been pressed on vinyl. It comes with the bonus cut "Untrue," plus a book containing lyrics and pictures. It's limited to 1,000 copies and 50 special edition copies. It can be pre-ordered here.